10 Kurta Mistakes You Are Probably Making Right Now! Kurtas have been our best friends since forever! Not only do they make us feel like an absolute desi babe but they’re also super comfortable. If truth be told, we would love to live in them! But even though kurtas are a safe bet for most occasions, we sometimes tend to go wrong with them as well. So here are a few tips to keep in mind to avoid these kurta mistakes you had no idea you were making! Natural fabrics like cotton, linen and silk are always a better bet than synthetic ones. These fabrics let your skin breathe and help you avoid embarrassing sweat patches. Choosing the right fabric also goes a long way in determining how you look. Steer clear of fabrics that stick, like lycra. Flowy fabrics are a better alternative than clingy ones as they’ll make your frame look petite and sweat patch free! Image: Deepika Padukone on Instagram Too long, too short - the length of a kurta makes a huge difference to the way you look! Long kurtas add height to your look and make you look slimmer than usual. If you are on the bulkier side then long kurtas are a safe bet for you whereas short kurtis and kurtas that cut off right above the knee will flatter every petite girl’s figure. Try avoiding kurtis that end just above your hips as that can make them look wider than they are. When trying on a kurta, we often concentrate on how slim it makes us look, while missing out on some important aspects. If you’re aiming for a well fitted kurta, just keep a check for these things. Ensure there are no lines that appear because of the fabric being stretched, the slit of your kurta isn’t too wide, the arm holes aren’t constricting your movement and it should be defining your figure without accentuating any bulges. Image: Sonakshi Sinha on Instagram Always! We aren’t telling you to stop wearing a certain trend, it’s all about working your way around a certain type of kurta! You may not be the tallest person but you love wearing full length anarkalis. Don’t worry, you can still wear them provided you pair them with a decent pair of heels, you should be fine! Don’t we all hate it when our kurta lining sneakily peaks out from under the hem of our kurtas? It can easily draw all the attention away from the gorgeous outfit you’re wearing. Always try your kurta with the lining/ slip beforehand to avoid this problem. 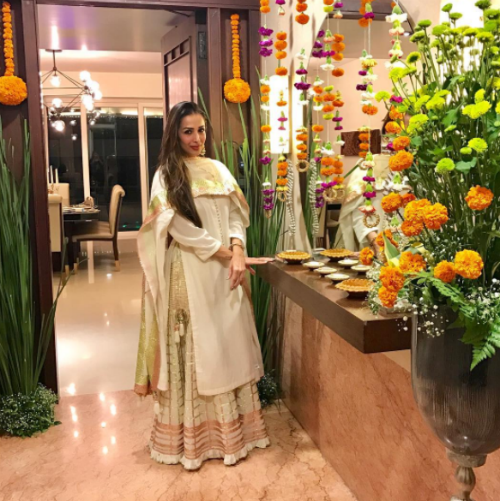 Image: Malaika Arora Khan on Instagram Short kurti with leggings? Please don’t! Long kurtas and leggings go hand in hand just the way short kurtas and jeans or salwars do! You also need to keep in mind your problem areas when you’re pairing your kurta with a bottom. 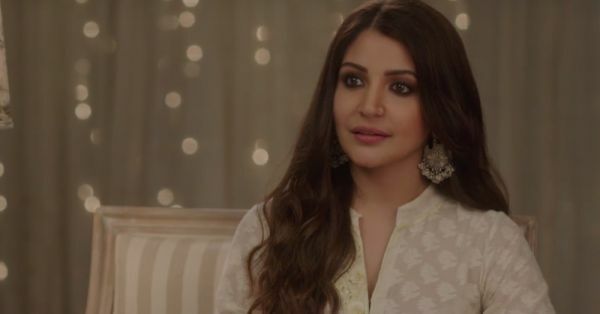 For someone with a heavier bottom, long kurtas and leggings are definitely more flattering than a short kurti and jeans. It is important to wear the right kind of sleeves that complement your body type. Avoid wearing a halter neck or a razor back sleeve if you have heavy arms. Choose carefully between the options available - from sleeveless, mega sleeves, half, three quarter or full. Ensure your sleeves are in sync with the silhouette of your outfit. You can also use varying fabrics for your sleeves to make it stand out. Try one in net, chiffon or georgette - these are sheer but will still ‘add’ to your outfit. 8. Getting The Bling Right! 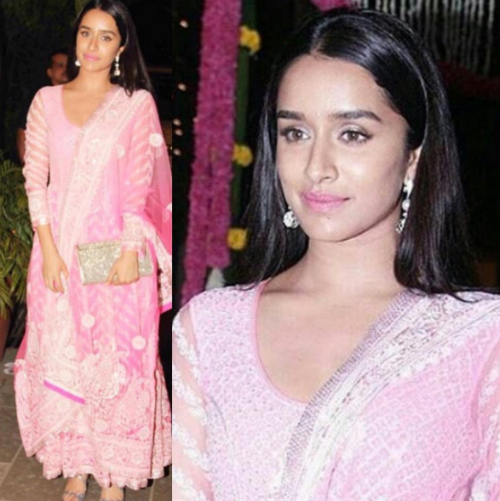 Image: Shraddha Kapoor on Instagram It’s always nice to have a little glitter and shimmer here and there cleverly added on your kurtas to make them stand out. But make sure you’re not overdoing it. Go for lighter embellishments like light thread work, gota-patti, colourful tassels for your everyday kurtas and go all out with zardozi, sequins and mukaish work for the ones you need to sport at special occasions and weddings! You can even notch up your kurta game by wearing richer fabrics like raw silks, silk ikats and more. 9. Get That Innerwear Game Sorted! 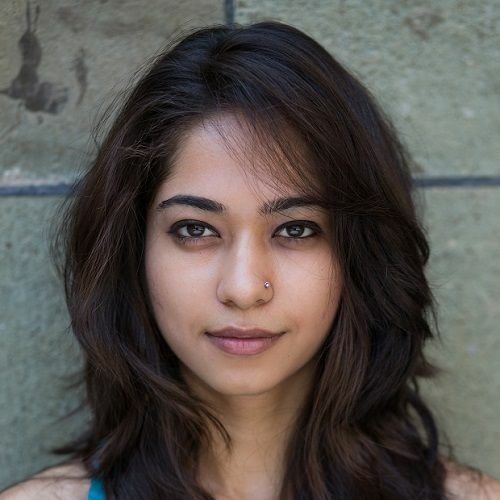 White bra with a white kurta? Yes please! Contrast coloured lingerie is cool for beach wear, not for ethnic kurtas! It’ll only draw attention towards all the wrong places. 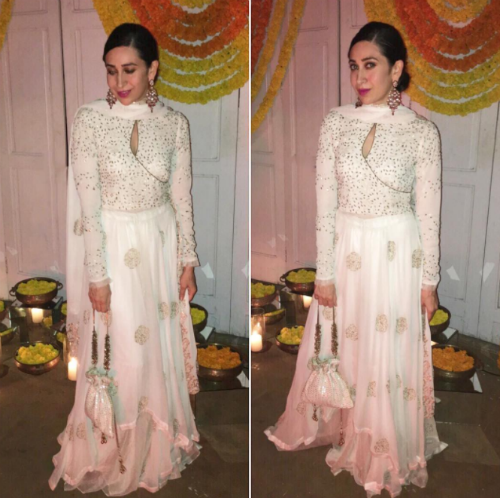 Image: Karisma Kapoor on Instagram One of the very basic things we all seem to miss out is the neckline of a kurta. We don’t realize that the neckline can often make or break the look! Depending on the type of kurta you’re wearing and your body type, choosing the right neckline is essential!